THIS EVENT HAS BEEN CANCELLED FOR THIS DATE DUE TO PROBLEMS AT THE VENUE AND WILL BE RESCHEDULED! 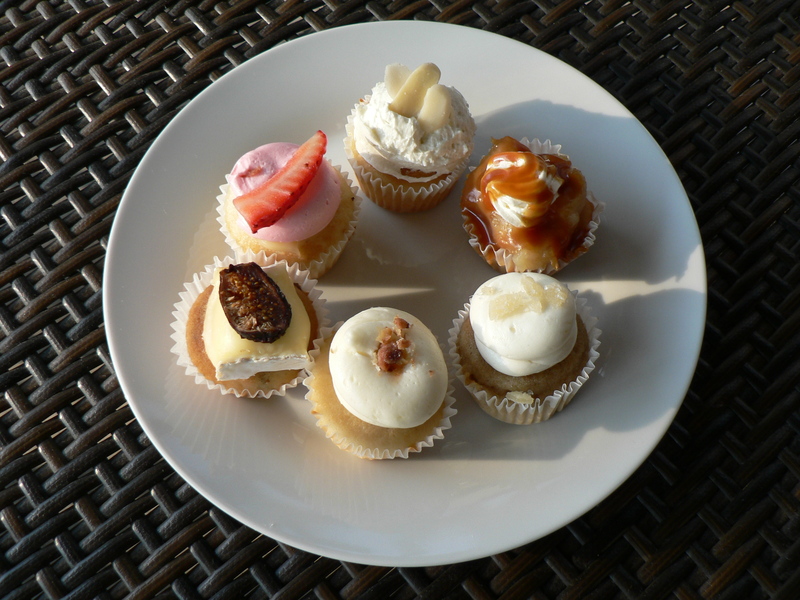 Our wonderful bakers will provide us with perfectly paired mini-cupcakes to accompany the tasting of our wines, and yours truly, the Chief Tasting Officer for Miss WineOH will be your host for the evening. All wines will be available at retail cost following the event for take-home purchases. You will be served 6 premium wines (a mix of white, red and rose) and 6 paired savory cupcakes. Bring your friends, bring your honey, makes it a “girls night out” – this is a great Fall indulgence in a beautiful private room at the Wine Bar. 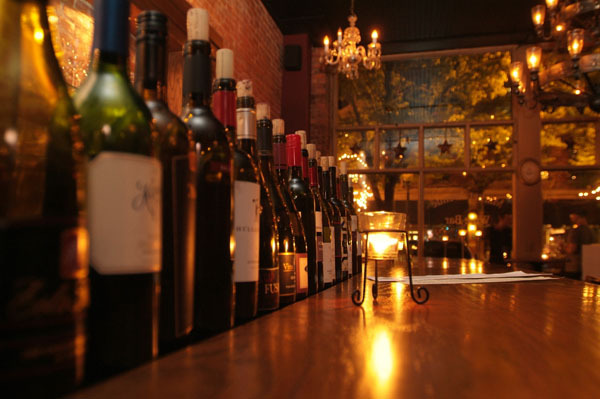 The price includes all wines and cupcakes, small palate cleansers, taxes and gratuity. Posted in events, pairings, Wine and Cupcakes Upcoming and tagged cupcakes, Pairing Experience, pairing exwine pairing wine, tasting, Wine and Cupcakes. Bookmark the permalink. 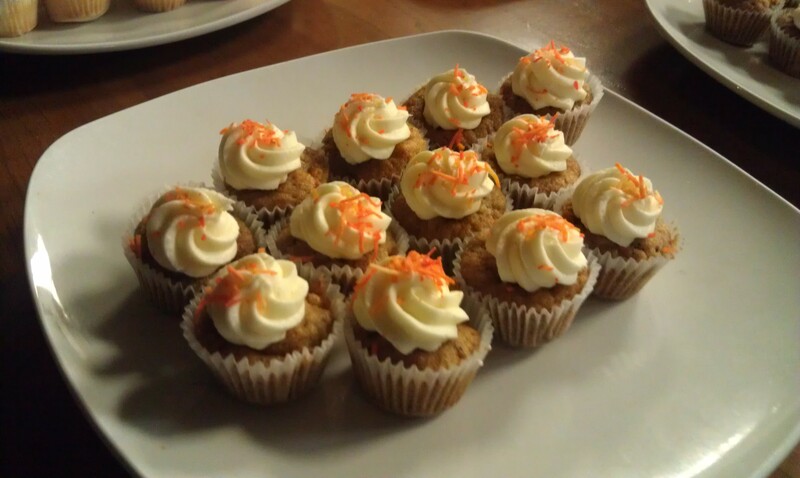 There was Beer and Cupcakes at Market Garden Brewery on Sunday, March 11. We had a rockin’ time. Here are the notes. I sat with Andy Tveekrem to get information about his beers. If any of these notes are incorrect – this is my fault – and not his. Friar Power Belgian Tripel with a Saffron and orange cake, topped with Cardamom icing. This strong light golden ale is the product of belgian history. Originally produced by monks – they developed the distinctive yeast that gives the belgian tripel its ester profile. (Volatile flavor compound naturally created in fermentation. Often fruity, flowery or spicy.) At 8%, the alcohol can sneak up on you. This is Andy’s stealth beer. The profile of this beer – very floral, slightly bitter, with a lovely citrus kick is paired with the complementary subtle flavors of saffron and cardamom – with a little orange to draw out the citrus. Pearl Street Wheat with an Almond cake, topped with lemon/orange icing. The phenolics (Flavor and aroma of smoke, or cloves; caused by wild yeast or bacteria) from the yeasts in this Hefeweisen are nutmeg and clove. Its slightly tart or acidic – the banana nose is characteristic of the yeasts as well. The beer is brewed with about a 65% wheat base in addition to malted barley. This makes for a sweeter beer – but lower alchohol than the first, coming in at 5.5%. We are pairing this one with almond – in complement to the banana (think banana bread) and the lemon/orange icing is a nod to the tradition of serving this beer with a lemon or orange slice. Boss Amber Lager with a roasted garlic cake and sundried tomato icing. Possibly the beer from Market Garden that is most suited for food due to the toasted malt. This one would pair with any roasted meat dish. Its fermented colder and slower than ales – for about six weeks. Andy utilizes a Vienna Malt for this traditional Vienna Lager. A great Session beer, it comes in at 5% – a perfect example of how to make a good lager. This is probably my favorite. Obviously the roasted garlic and sundried tomato come together to give you a sweet treat reminiscent of your Sunday dinner of roast chicken – without trying to create a meat cupcake! This beer is named after Andy – the “Striking Viking” – an American Pale Ale produced with Cascade hops and English yeasts. These yeast typically produce a butter or butterscotch flavor. And he uses a crystal malt for color and body. This one comes in at 5.5% – another easy drinker. We bring creaminess to this pairing with white chocolate to sooth the hops, and bacon and jalapeno demonstrate an easy pairing with burgers or spicy foods. Wallace Tavern Scotch Ale with a Five Flavor Cake and Salted Caramel icing. This beer is named for George Wallace, a Scottish settler to Cleveland from 1806. He owned a Distillery and brewery in the area, and later moved to Brandywine. So this is an homage to Cleveland’s beer history. This ale’s malts are actively caramelized utilizing a prolonged boil. The strong heavy malt is balanced by the addition of other flavors to reduce bitterness. Typically the Scots would use heather or other wild ingredients, though Andy doesn’t hold THAT closely to the tradition. He utilizes a slightly higher alcohol percentage (between 6.5 and 7% depending on the batch) to balance the malt – so that the caramel becomes noticeable in the flavor and neutralizes much of the bitterness. The obvious pairing on this beer is salted caramel, one of my favorite flavors – we added in the five flavor cake to show the diversity of pairing possibilities. A traditional southern dessert, this has lemon, butter, rum, coconut and vanilla in the cake. Any rich saucy dish would pair up nicely with the Wallace Tavern. Forest City Brown Ale with a nutty carrot cake and cream cheese icing. This beer is named after Cleveland’s moniker – back when it was all about the lumber here. This brown ale is born from the roasted flavors of a coffee malt which literally can be roasted like coffee beans, providing the brewmaster with differing degrees of flavor to work with. This English style beer is bold and expressive, coming in at 5.8% – and is Andy’s favorite. When I first tasted this beer, all I could think about was roasted vegetables. Pair this one up with any roasted veg – like a lasagna. The pasta will sooth the bitterness on the finish. We give you a nutty carrot cake with cream cheese to attain the desired affect. A Cookie and a Cupcake made these incredible treats. Visit them in Tremont. Posted in Beer, events, Ohio, tasting notes, Wine and Cupcakes Notes and tagged beer pairing, Cleveland, craft beer, cupcakes, Market Garden Brewery, pairing. Bookmark the permalink. 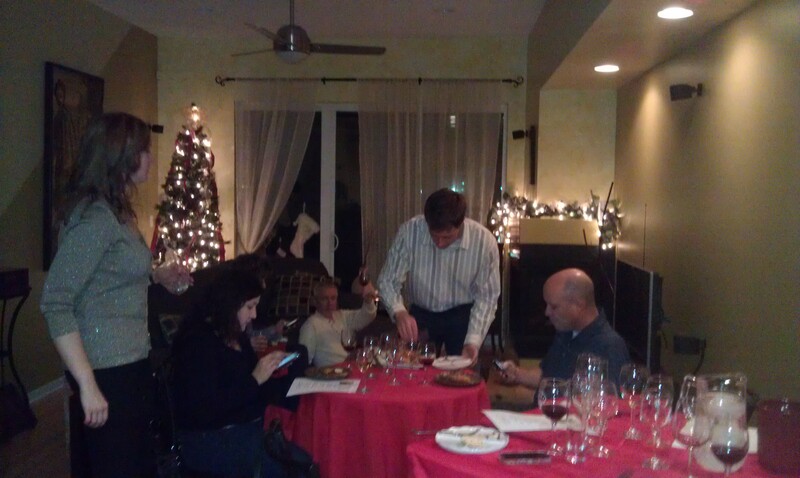 I had the privilege of inviting a few people over to MissWineOH headquarters for a Beaujolais tasting on December 7. It was a collision of two worlds – a few people from #MrWineOH’s office, and a few great people I’d met through my tastings. SEDavenport and her husband, WhyCLE and her beau, and EatDrinkClev joined us to delve into the beaujolais world and nosh on some appetizers. The entire event was a twitter tasting and broadcast under the #beaujolais hashtag. All of the Beaujolais wines were served chilled to 60°F. We started the evening with a little palate cleansing French sparkling. Yes, there are reasonable French sparklings – we picked up ours from Wine and Design in Tremont for less than $15. The first Beaujolais poured was a 2010 Christophe Pacalet, Chiroubles. Most of our guests thought it to be a light, fruity wine. Others tasted a perfume base, followed by the fruit. This was not high on the list of favorites for the evening at $16.99. It was paired with a Pastry Wrapped Baked Brie. 1 Preheat oven to 350 degrees F.
2 On a non-stick cookie sheet, lay out the puff pastry or the crescent rolls flat; put brie round or wedge on top. 2 Spread jam on brie, fold dough over top, cutting off excess dough. Drizzle maple syrup and place a handful of brown sugar on top. 3 Bake at 350º for 25-30 minutes, pastry should be golden brown. Let cool for 10 minutes before serving. The 2009 Domaine de Colette, Regnie was the second wine poured. All cherry and berry on the palate, this wine opened up nicely and was enjoyed for the duration. We paired it with a soppressata, beef sausage, and smoked gouda platter – the olives were a hit or miss. Some thought they paired well, others thought the quality price ratio was not up to par. This wine retails for $18.99. 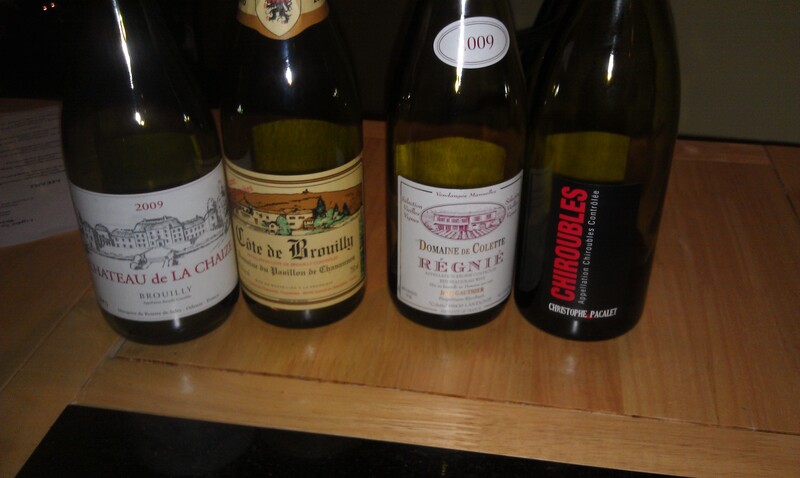 The third wine we poured was the 2009 Chateau de la Chaize, Brouilly. This Brouilly is from the among the oldest and most historic estates in the region of Beaujolais. Medium bodied, fruity, with a long finish, most of our guests picked this as the QPR winner of the evening at $13.95. It was paired with a Proscuitto wrapped camembert. Preheat oven to 375°F. Line a baking tray with non-stick baking paper. Arrange 3 sage leaves on top of the camembert. Place 3 slices of prosciutto over the sage. Carefully turn the camembert over and fold in the ends of the prosciutto slices to enclose. Repeat with the remaining sage and prosciutto to completely enclose the camembert. Place the camembert on the lined tray. Bake for 15 minutes or until the prosciutto is crisp and the camembert is soft. Transfer to a serving platter and serve with the bread. Our last Beaujolais of the evening was the 2010 Pavillion de Chavennes, Cote de Brouilly – the most complex wine of the night, there was a floral aroma on the nose and spice on the finish. Even at the $21.99 price point, this became the crowd favorite and quickly disappeared. We paired this wine with Crunchy Apple Salsa over Chicken. Combine salsa ingredients and mix well; allow flavors to blend about 1/2 hour. Serve over or alongside grilled chicken. Makes 3 cups salsa. For grilled chicken combine marinade ingredients, pour over chicken breasts. Marinate for 20 to 30 minutes. Drain and cook in an oiled skillet, turning once, until done. 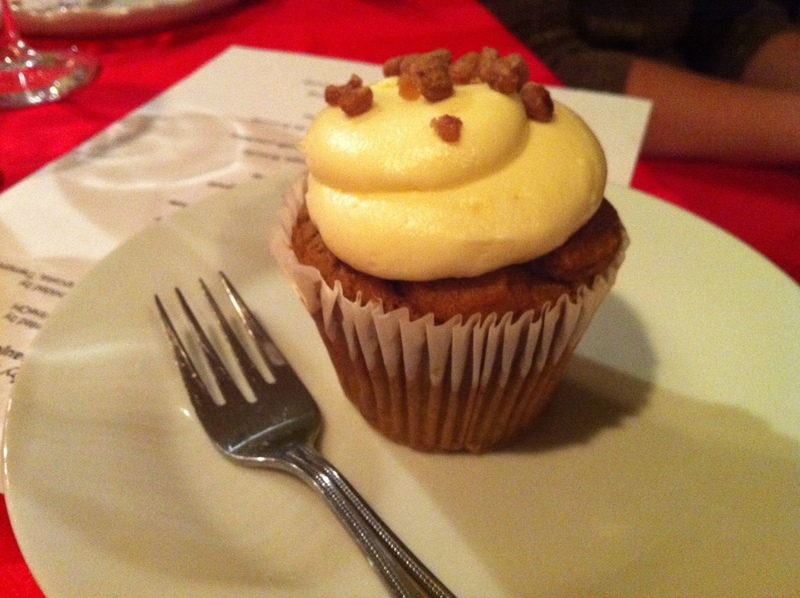 It wouldn’t be #MissWineOH without a cupcake pairing. I chilled and poured the 2007 Markko Select Reserve Johannesburg Riesling. If you have never experienced Ohio wines, Markko makes some of the finest in the state. This is a slightly sweet riesling with floral aromas. I’d pair this with a seafood dinner or a savory chicken dish. The cupcake I chose for this event and pairing was the pumpkin cupcake with cream cheese icing from A Cookie and A Cupcake, on of my favorite Cleveland bakers. The savory pumpkin paired beautifully with the riesling. It balanced the sweetness of the residual sugar in the wine, while allowing the minerality to show through. So, what was the conclusion? A rousing success of course! The wines of Beaujolais are always lovely, and you should seek them out when you find them. I’d recommend pairing a Beaujolais with food – try some of the recipes I’ve included. Many thanks to @sedavenport, @whycle and @eatdrinkclev for joining us. Follow them on twitter because they are interesting and cool ladies in Cleveland. If you’d like to join us for a future event, stay tuned to the calendar. We’ve got #wineandcupcakes and #beerandcupcakes coming up in January. Or like MissWineOH on Facebook for wine related articles and information from around the world. The Beaujolais wines were provided by Discover Beaujolais. Posted in events, pairings, tasting notes and tagged Beaujolais, cupcakes, french wine, Markko, private event, recipes, Riesling, wine pairing. Bookmark the permalink. 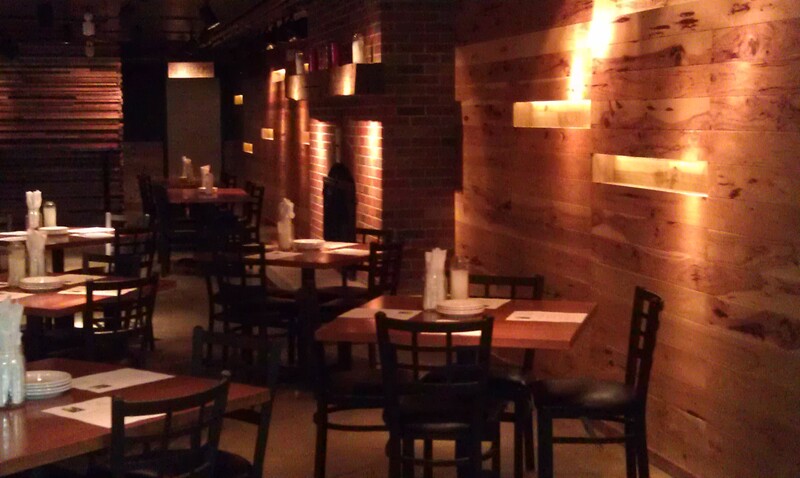 We’ve partnered with Market Avenue Wine Bar in Ohio City to bring you a unique wine experience. Join us at Market Avenue for a pairing of wines and cupcakes on Thursday, October 13 at 730pm. A Cookie and a Cupcake will provide us with perfectly paired mini-cupcakes to accompany the tasting of our wines, and yours truly, the Chief Tasting Officer for Miss WineOH will be your host for the evening. Posted in events, pairings and tagged cupcakes, pairing, tasting, wine. Bookmark the permalink.